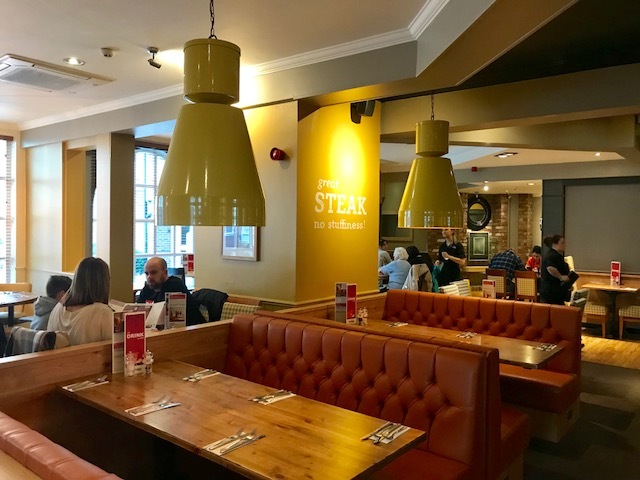 A few weeks ago I was invited along to the newly refurbished Beefeater pub on Kingswood in North Hull. We head over to the Kingswood retail park now and again as they have a huge Next, T K Maxx, Matalan, to name a few as well as lots of nice restaurants, a cinema and a bowling alley. 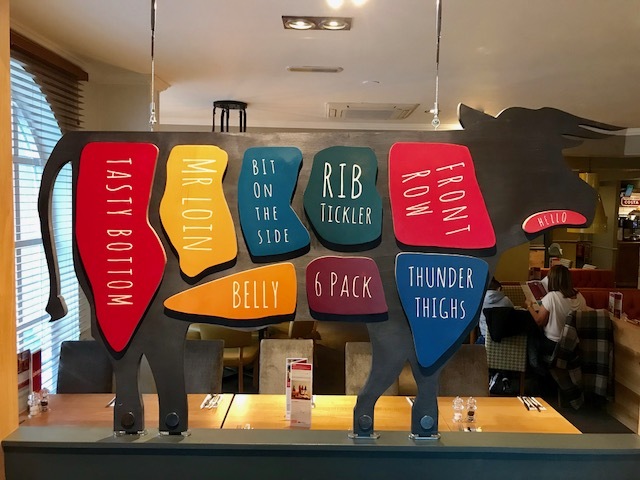 We have not, however, tried out the new Beefeater pub so when I was invited I could not say no! We thought we would head over on a Saturday lunchtime, we decided to call and book in advance and we are glad we did as it was super busy. We were greeted at the door and shown to our table. I was surprised at how big it was inside, there were lots of tables to accommodate big families and well as couples. There was also a spacious bar area to have drinks. 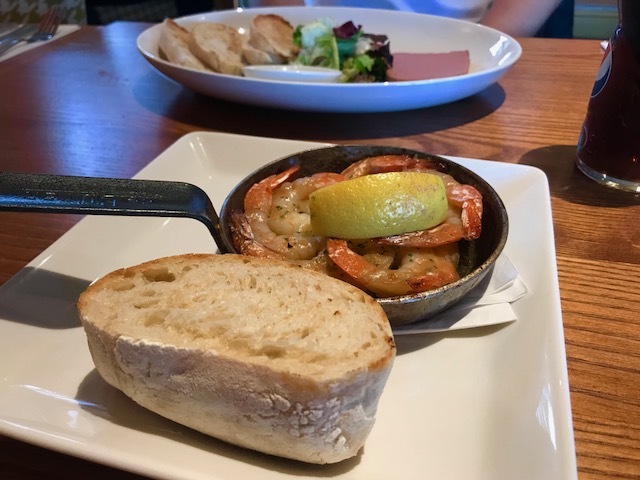 We decided to go all out and have three courses.I choose garlic prawn pan costing £6.49 and Darren had the Duck Pâté costing £5.69. They where both really nice, they were a good size for a starter and the prices where very reasonable too. For our main course I originally wanted the Lobster Double Stack Burger however it had already sold out, proving it is a very popular dish! 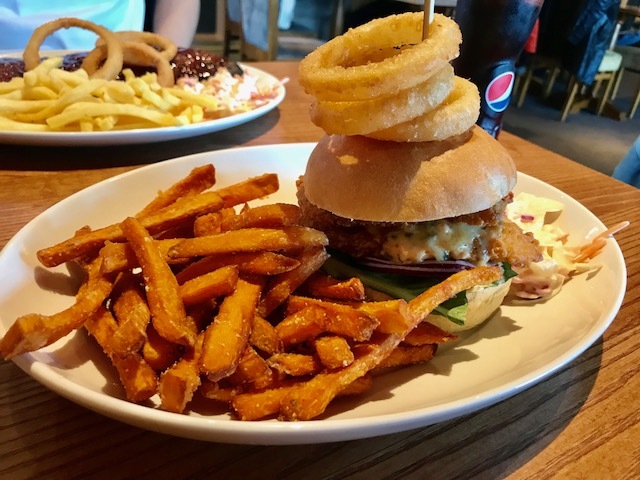 Instead I choose the New Buttermilk Chicken & Blue Cheese Burger costing £13.49, 'Buttermilk chicken goujons coated in rosemary breadcrumbs, topped with creamy Stilton and spicy piri piri mayonnaise, Served in a toasted brioche bun' sounds incredible doesn't it! I had this with sweet potato fries and it did not disappoint, it was such a big portion too! Darren had the Sticky Bourbon BBQ Ribs with regular fries costing £15.29. I had a little taste of them and they where do delicious! Again it was a huge portion and was defiantly value for money. Finally, we had to try out the deserts too. 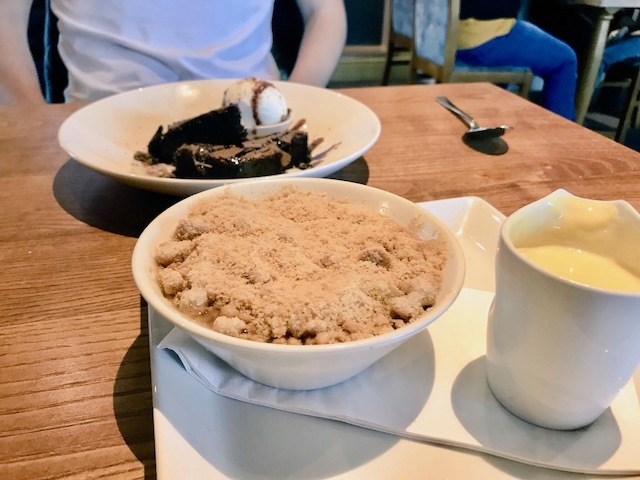 Although they don't look so pretty, they tasted fab and was agreat sweet treat to end our meal with (even though I couldn't even finish mine!) Darren had the Warm Chocolate Brownie 'Warming and delicious, this chocolate brownie is served with vanilla ice cream and our rich chocolate sauce' costing £4.99 and I had the Salted Toffee Apple Crumble 'Sweet, tangy apples and sticky salted toffee sauce, topped with golden shortcake crumble and served with custard' also costing £4.99! Again, great portions and great prices. 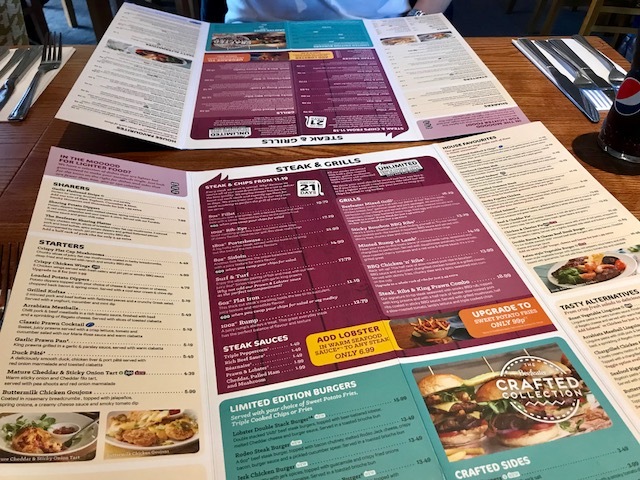 Our meal with two re-fillable soft drinks came in at just over £50 which I consider to be great value taking in to consideration how big the portions are. I would 100% head back there again, but I wouldn't probably go for all three courses. The main was my favourite and I am still tempted by the Lobster burger! I you wish to try it out for yourself I would recommend booking in advance if you wanted to go on a weekend as it seems to get very busy. 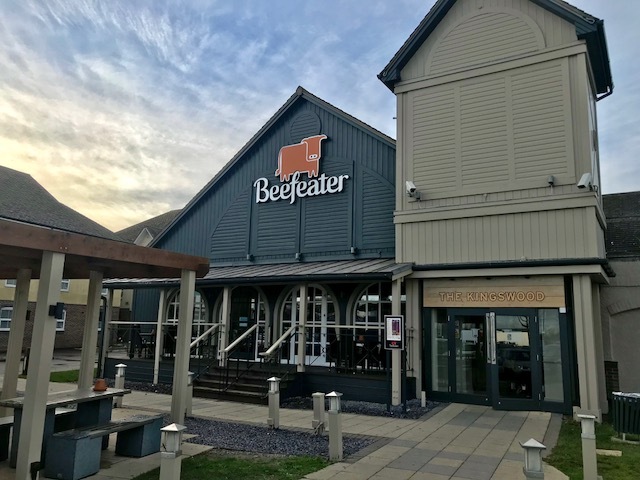 Huge thank you to The Kingswood Beefeater for our fab meal, we hope to see you again some time! *This meal was paid for in return for an honest review.